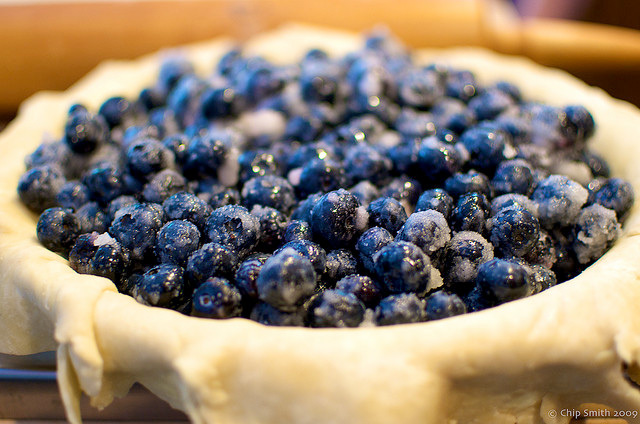 Blueberry pie in the making; photo by Chip Smith on Flickr (noncommercial use permitted with attribution / share alike). The wild blueberry is also the official state berry of Maine. Native to North America, blueberries are recognized as a symbol of three other states: New Jersey (the high-bush blueberry is the state fruit); North Carolina (blueberry is one of the official state berries); and Minnesota (blueberry muffin is the state muffin). 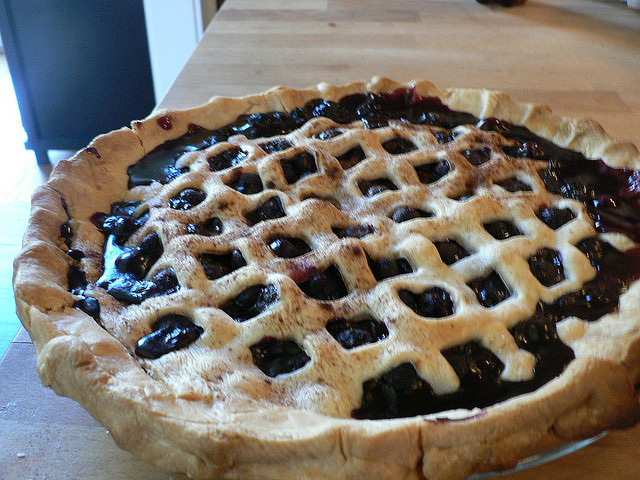 Blueberry pie; photo by Nancy Dorsner (Dot D) on Flickr (noncommercial use permitted with attribution / share alike).